With the heat and excitement following the Western Sydney Wanderers’ Asian Champions League victory now preceding a heap of inconsistent results on the domestic stage, the newest footballing-success story to come out of the Australian tectonic plate is the semi professional Auckland City FC. Their status attained from last month’s third-place finish at the Club World Cup in Marrakech, Morocco. Recently it was announced the New Zealand-based Club World Cup medalists are to play Japan in a friendly at Cessnock, a town in Northern New South Wales, on January 4th. This game is a preparation match for the Samurai Blue who will have to be very careful not to underestimate their Kiwi opponents. Japan will also take on Lambton Jaffas FC the very next day, in what is expected to be a closed fixture, before beginning their Asian Cup campaign just a half-hour away at Hunter Stadium. On the other hand, Auckland City FC has encountered possibly the most eventful Christmas break of all time for a team in the New Zealand ASB Premiership. The New Zealand side already had an impressive three wins in their five Club World Cups prior to their recent 2014 campaign. This year, they experienced a victory over Moghreb Tetouan, the champion team of host nation for the tournament Morocco, and an incredible 4-3 in penalties victory over ES Setif that put Auckland City FC into the semi-finals of the Club World Cup. They lost their semi-final to San Lorenzo 2-1, with Angel Berlanga scoring for Auckland City FC in the 67th minute to drive the game into extra-time at 1-1, where the South American champions scored and reached the historic Club World Cup final. So close to a pure miracle, yet so much valuable experience, confidence and cheer to take away from their three fixtures. Oceanic qualification for the Club World Cup has seen the amateur Auckland City FC reach the world stage on six different occasions: 2006, 2009, 2011, 2012, 2013 and 2014. Auckland City FC has also won the New Zealand-wide ASB Premiership on five different occasions. A win in the tournament does not however mean direct qualification to the Club World Cup. In 2011 and 2012 the only other team to have won the competition, Waitakere United, won the ASB Premiership. Together Waitakere and Auckland have won all ASB Premiership Grand Finals, but Waitakere have only ever qualified for one Club World Cup through the OFC (Oceania Football Championship) Champions League. With these results and close geographical placement, the two teams have naturally become rivals. Auckland City FC has the stronger and more loyal fan base, covering the majority of the Croatian expatriates in Auckland who supported the team as it entered the league derived from Central United FC. 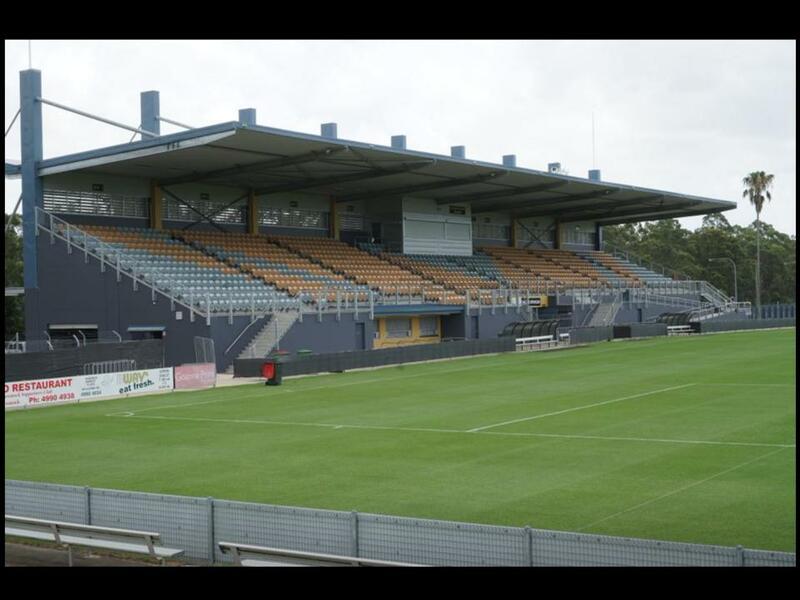 Central still competes in a district league and share a stadium with Auckland City FC. Hence the reason why a majority of Central’s supporters chose and continue to support the ASB Premiership side. Central United FC was founded in 1962 by Croatian expatriates residing in the New Zealand city. This is common in Australia with both Sydney and Melbourne forming similar teams. Prior to the A-League, the days of the NSL (National Soccer League) in Australia saw both the Melbourne Knights and Sydney United, who were founded within the same 10-year period as Central United FC, thrive in both on-field and off-field. The Friendship Cup is still played every year between Sydney United and Melbourne Knights and brings out the best in these two historic sides. Truth can now be told that the locals of Cessnock will be buying their tickets to this friendly expecting some fierce competition between the amateur club and international side. The endorphin levels are high for Auckland City FC and possibly even higher for a special player named Takuya Iwata, Japanese national and footballer for Auckland City FC. The Aichi-born defender played for a regional North-Queensland side before transferring across the ditch. It will no doubt be a special moment for him to play against the stars of his homeland, and for players like Yasuhito Endo, players Takuya may have idolized as a child. Impressively, Takuya was the only Japanese footballer in the entire 2014 Club World Cup and played in the starting squad for all three matches. To gain a deeper appreciation for Auckland City FC’s assets that will threaten Japan during their friendly, we interviewed a Croatian local of Auckland (CL), along with a regular at Auckland City FC home games named Cameron (AC). 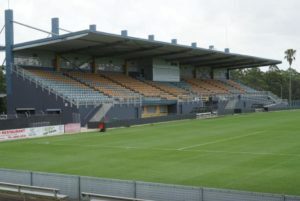 CL: Along with sharing a home stadium to Central United FC, we utilize Central as a feeder club that allows a lot of New Zealanders in the lower leagues to reach the ASB Premiership, and still be playing within similar conditions. There are quite a few players who have both come from Central to Auckland City FC, and have gone from our side to represent their respective national teams (most notably Roy Krishna now at Wellington Phoenix). AC: They’re the best New Zealand club and best amateur side in the world! They’re quite multi-cultural and play possession-based football that is different to the direct tactical approach of football, which is frequent in New Zealand. Speaking of the possession-based tactical approach that is utilized by Auckland City FC, how do you see Japan and their tactical approach to the game? AC: Both Japanese clubs and their representative sides are always very technically advanced and play a fast game of football. We have a strong defensive lineup though, John Irving who came to us after being rejected contracts in the UK, makes a great pairing at the back with Takuya Iwata. It will also be quite exciting to see Takuya play against his own countrymen. Considering this is a friendly and not part of any major tournament, how does Auckland City FC usually perform in these more less-serious fixtures? AC: We played Wellington Phoenix (A-League side based in New Zealand) just last year in a challenge series and won 1-0. It’s difficult to get amateur teams at the required skill level. A poor game was when we lost 4-0 to the Wellington Phoenix Reserves, the top amateur side for Wellington. CL: We play A-League sides in pre-season friendlies, and have won all of them in recent years. Our best performance was against the Central Coast Mariners in 2012 where we won 3-1, later that year the Mariners went on to be crowned A-League Champions. Although all of these pre-season friendlies we play against A-League sides are played at our home ground, so this game in Cessnock will be different. What are some of the major Asian opponents like Japan that Auckland City FC have played in the past? AC: The games that Auckland City FC played against Al Ahli FC and Raja Casablanca would have to be the most notable. We defeated Al Ahli FC 2-0 in 2009 in a Club World Cup, Al Ahli had qualified for the tournament by winning the Asian Champions League earlier that year, and on top of that they were also playing against us at their home ground (United Arab Emirates). That result progressed us into the quarter-finals of the tournament where we were then knocked back to the fifth place playoff match by TP Mazembe. Although we won the fifth place playoff match and recorded two wins in that tournament, so you could say it was our second best performance in a Club World Cup. The Raja Casablanca game took place just last year and we made it to the 90th minute in our opening game of the Club World Cup, with the scores tied at 1-1. Before conceding in extra time to crush our hopes. Who are some of the players in Auckland City FC you expect to do the most damage to Japan? CL: Auckland local Ivan Vicelich has the major influence on our side and those he plays against. He’s been with the team for six years in total and has made over 120 appearances for our side, also a FIFA World Cup with the New Zealand National team. He’s a defensive midfielder and his leadership makes him a key role model, every one of all ages definitely looks up to him. He was rated by FIFA as Auckland City FC’s best player in the Club World Cup. He stood up there on the podium with Sergio Ramos and Cristiano Ronaldo, incredible when he received the Bronze Ball. AC: Ivan Vicelich is not only born and raised in Auckland, but he carries Croatian heritage and comes from an expatriate family so he’s definitely a huge inspiration to all fans. FIFA awarded him with the Bronze Ball for the tournament, meaning he was ranked the third best player in terms of performance in the Club World Cup out of all the teams! An issue for our team is success means we will definitely lose some of our squad to professional teams, that will most likely happen at the end of the season but with this much success as an amateur side, it’s quite likely. Our Argentinian striker Emiliano Tade has already been linked to a South African second division team. In the next part of this article, we interview Takuya Iwata, Japanese player for Auckland City FC. We speak to him about his career, how it will feel for him to come up against his own national team and his experience as a Japanese player in New Zealand.